Ex-Russian spy Sergei Skripal, his daughter Yulia collapsed in Salisbury on March 4 after being exposed to nerve agent Novichok. London: Police believe they have identified the suspects who carried out the Novichok attack on a former Russian double agent and his daughter in the English city of Salisbury, the Press Association reported on Thursday (July 19). "Investigators believe they have identified the suspected perpetrators of the Novichok attack through CCTV and have cross-checked this with records of people who entered the country around that time," a source told the Press Association news agency. Scotland Yard refused to comment on the report when contacted by AFP. Ex-Russian spy Sergei Skripal and his daughter Yulia collapsed in Salisbury on March 4 after being exposed to the nerve agent Novichok. Both have since recovered. Britain blamed Russia for the poisoning of Mr Skripal, a former colonel in military intelligence who was jailed for betraying Russian agents to Britain's MI6 security service. 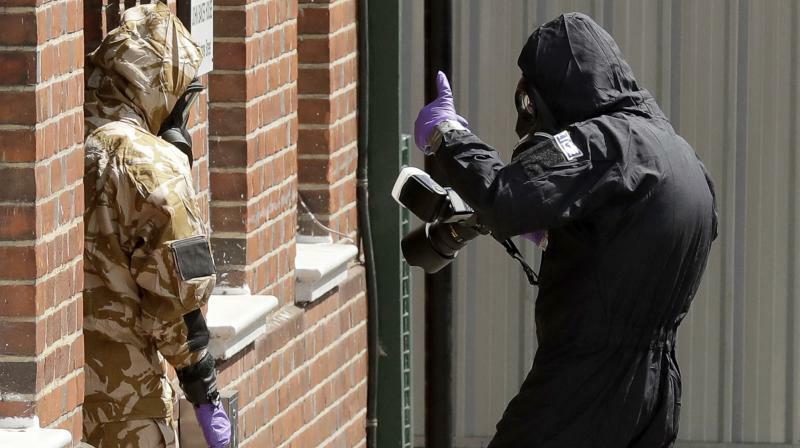 Two Britons fell ill in June after being exposed to Novichok in the same region of southwest England, but police have not been able to establish whether the toxin was from the same batch used against the Skripals. Mr Charlie Rowley, 45, and his partner, Ms Dawn Sturgess, 44, collapsed at his Amesbury house within hours of each other on June 30. Ms Sturgess died July 8, while Mr Rowley has regained consciousness and is in stable condition.